Sie haben eine Frage zum Tomato Hotel Langkawi? Dank seiner Lage in der Gegend "Pantai Tengah" ist das Tomato Hotel Langkawi die perfekte Unterkunft zur Erkundung von Langkawi und Umgebung. Lediglich 14.4 km vom Stadtzentrum entfernt, genießen Sie hier die Attraktionen und Sehenswürdigkeiten der Stadt. Aufgrund ihrer günstigen Lage bietet die Unterkunft den perfekten Ausgangspunkt zu den wichtigsten Attraktionen, die man gesehen haben muss. Die Unterkunft verfügt über 13 geschmackvoll eingerichtete Zimmer (viele davon inklusive Flachbild-TV, Sofa, Handtücher, WLAN, WLAN (kostenlos) und weiteren Annehmlichkeiten). Außerdem sorgt das umfangreiche Angebot an Freizeitaktivitäten in der Unterkunft dafür, dass es Ihnen niemals langweilig wird. Die exzellenten Einrichtungen und die fantastische Lage machen das Tomato Hotel Langkawi zum perfekten Ausgangspunkt für die Erkundung von Langkawi. Room smelt of smoke, beds were hard and air con did not cool the room. We asked for help to book a ferry and were told that we had to take a 1 hour round trip to the ferry port to book tickets. We walked 15 mins and found a travel shop to book it for us. Very bad service. Room had double bed and only single duvet which was strange. Other than that everything was good. 24hr hot water, huge tv, kettle and 2 bottles of mineral water a day. Daily cleaning and was always left spotless! The only 2 critiques were that we had to move room twice during our stay due to the air con in our room giving up...however that was fixed on both occasions very fast and the team were very apologetic about this. The major issue is the sporadic WiFi...sometimes it was great and others non-existent. We wondered if this was because they shared the same access with the extremely busy restaurant downstairs? The only reason we have chose to mark down for that is because for the price we paid we would have expected it to be more consistent. Rooms to the road are loud. The room was quit big for the price that i paid. Walking distance to the beach. You will get 10% discount to eat at the tomato restaurant. Wifi connection is bad. Overall im very satisfy with this hotel! We were not expecting much since it's cheap, but decided since they have good reviews. The rooms and toilet/bath was really clean. The staff, really helpful and there are many parking spaces. The restaurant on the ground floor serves really good food! I especially loved their roti and chicken masala. And they give discount for hotel guests! staff was friendly. they allowed early and fast check in. they even offered a free upgrade to the deluxe room, but deluxe room comes with twin beds only. 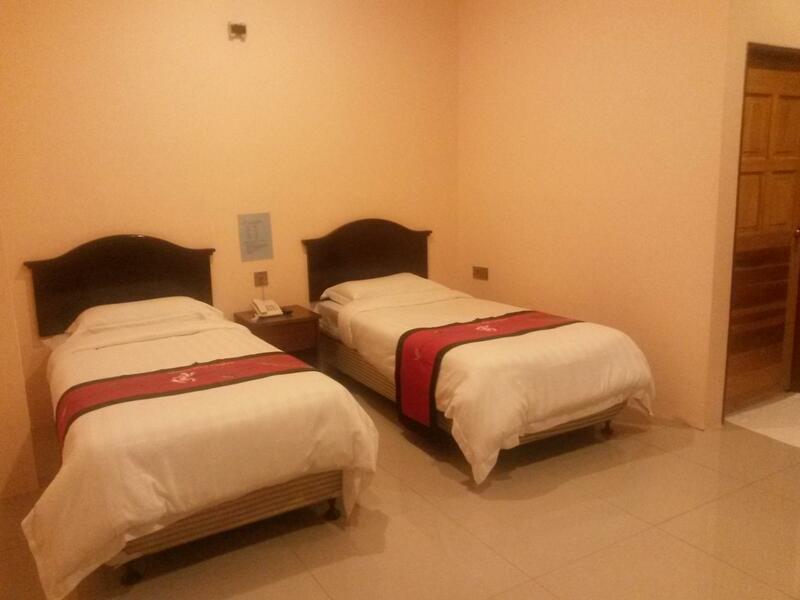 standard rooms have double beds only. the double bed is actually small for big sized people. luckily, my partner and i are small sized asians, so able to manage with the small bed. the room is really nice and modern. i like the shower. room was cleaned daily with mineral water replenished. tv only has 3 channels. wifi is ok, intermittently disconnecting. the restaurant below serves awesome food at reasonable prices. the beach is around 10 to 15 minute walk away. you can ride a bike from the nearby shop to commute around, cheaper than many taxi rides. will definitely stay here again. Didn't have a hard time finding the hotel because it's located in between aseania hotel and favehotel. It's near cenang mall, the beach, duty free stores and many restaurants. 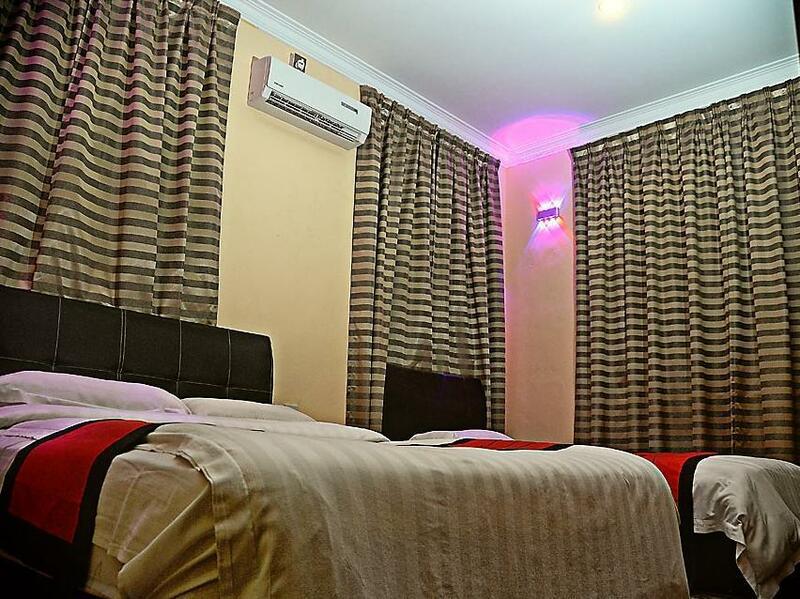 The room itself is good for 2 and the toilet is clean. If you plan to stay in the hotel for long, it's advisable to bring an Ipad or laptop to watch shows as the television only have 4 channels. And the bed is not as comfy and big but acceptable for the price. Some 5 minutes walking distance to the beach, 10-15minutes to the hive of activities at pantai cenang. but there will be lot of shops to see along the walk. One thing to note however was the nasi kandar store at ground level. Food will not be a problem obviously but the mouth watering smell might creep into the room. 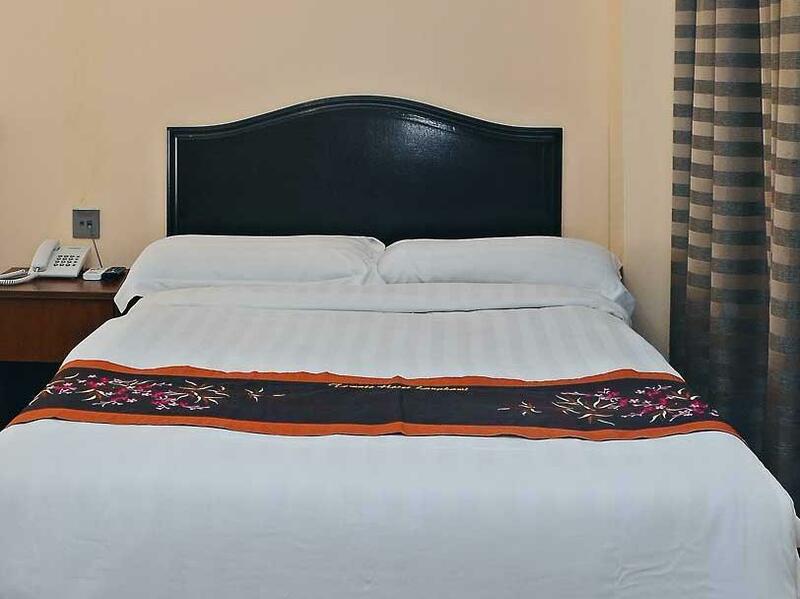 This hotel is great value for money and it is next to a restaurant that’s open all the time. The restaurant has good local food and you get 10% off when you stay at the hotel. The room was fairly big and was very clean. The tv is big but it’s hard to find any channels, however there is a HDMI cable so if you have a laptop you can connect it. WiFi seemed to work only in the morning and was terrible in the evening. Staff are helpful and nice. The beach is about 10 min walk from the hotel. 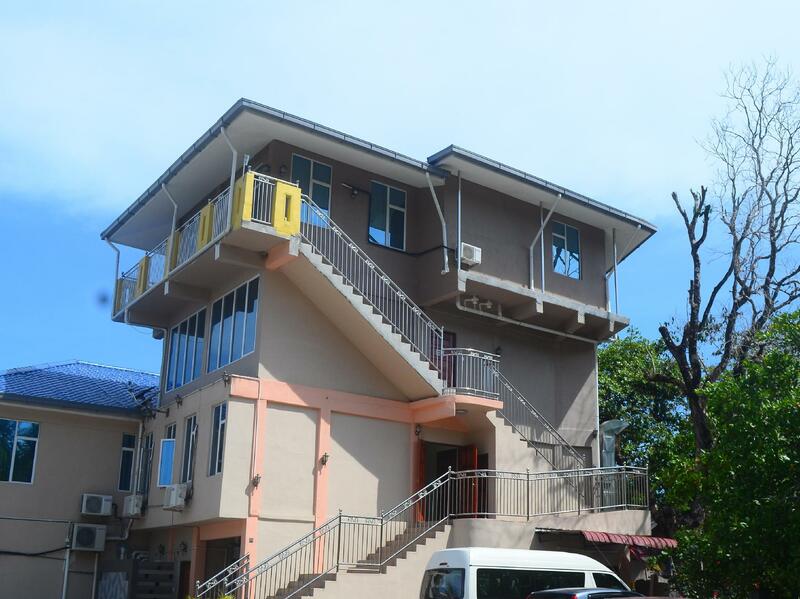 This unit is near to tourist hotspot (pantai cenang, walking distance), ground floor have mamak store operate 24 hours. Very convenience even if you don't have transport because restaurants and mall is walking distance as well.